Dr. Gary Simms is most known for his calm, caring demeanor and ability to help produce fantastic results for his clients. While most dentists have the ability to help clients, not all have the passion and care for clients. Dr. Simms loves what he does, and knows the importance of changing someones smile, both functionally and cosmetically; the results often positively change someones entire life, not just their smile. This is a cause Dr. Gary Simms does not take lightly, and treats all clients with the care and dignity they rightfully deserve. Dr. Gary Simms was born in England, but raised in Queens most of his adolescent and adult life. In 1991, Dr. Simms obtained his bachelor’s degree in Science at the University of New York. After getting his degree, Dr. Simms went on to obtain his D.M.D. degree at the University of New Jersey School of Dental Medicine. While at the University of New Jersey, Dr. Simms participated in a number of outreach programs that included visits to Jamaica and the Dominican Republic. Following dental school, Dr. Simms went to complete his dental residency at Peninsula Hospital located in Far Rockaway, New York. After getting his degrees, Dr. Simms opened up a practice in Bronx, New York from 1997 to 2006. Since then Dr. Simms has moved to Georgia and owns Metro Decatur Dental Group P.C from 2006 to present time. Dr. Simms is dedicated to immediate dentures for full mouth rehabilitation and provides his patients with a caring and comprehensive approach to oral health. 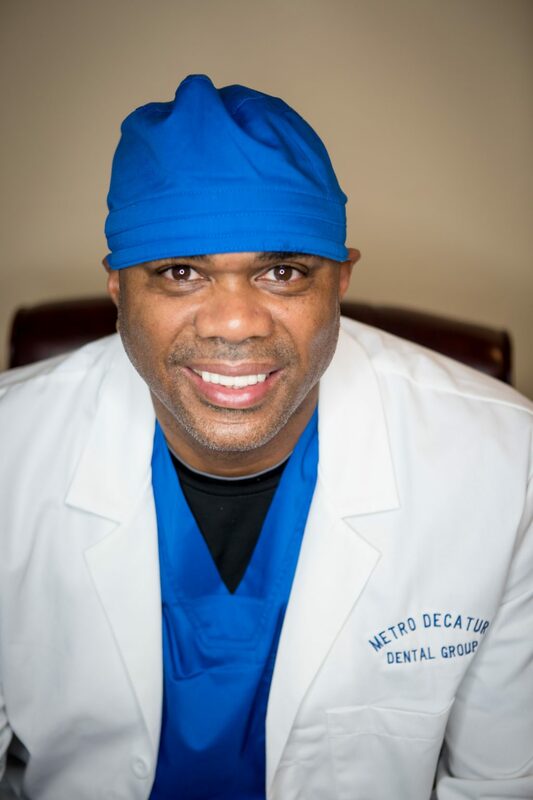 He uses his extensive experience to provide the highest level of dental care to his patients with the utmost respect. Dr. Simms believes a conservative, preventative dentistry, and his goal is to increase the longevity of his patients teeth.